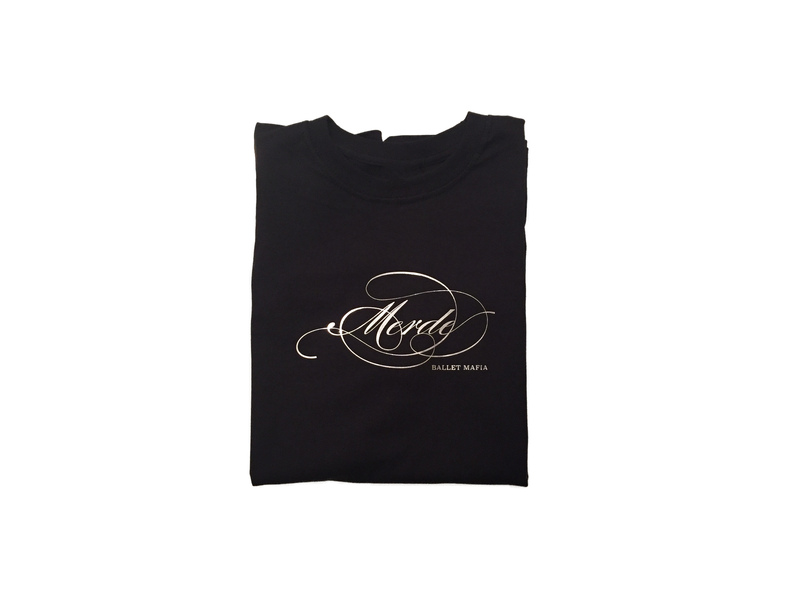 Silver Signature Merde design on black premium cotton. With pride we bring you the Merde T-Shirt. 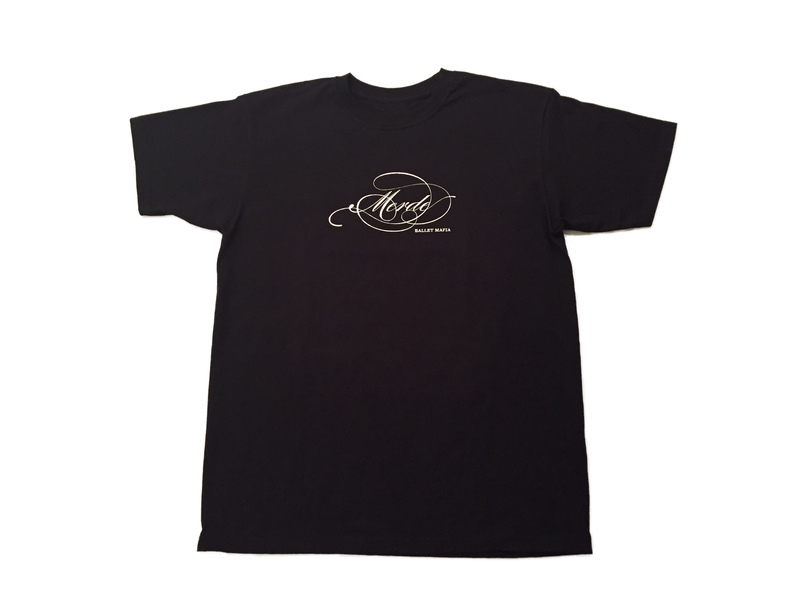 This short sleeve crew neck T-Shirt is made from one piece of premium cotton and has a Lycra neck for improved shape retention. 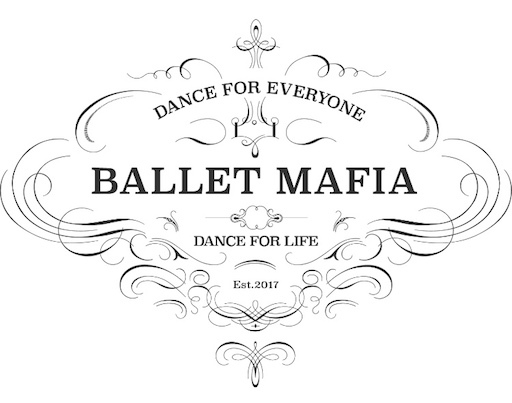 The elegant black has been chosen to create the best possible background for the elaborate Signature Merde design in shiny silver on the front. To protect the Signature Merde design and extend its lifetime, machine wash your t-shirt cold and on the left. if required, iron your t-shirt on the left on a low temperature setting. Products from our Merde Signature Collection will be custom made, as we will not hold any items in stock. We estimate that it will take ca. 3-4 weeks from placing the order before products will be ready to be shipped (compared to a 2-4 working day turnaround time for skirts). So please allow for sufficient time when placing your order.